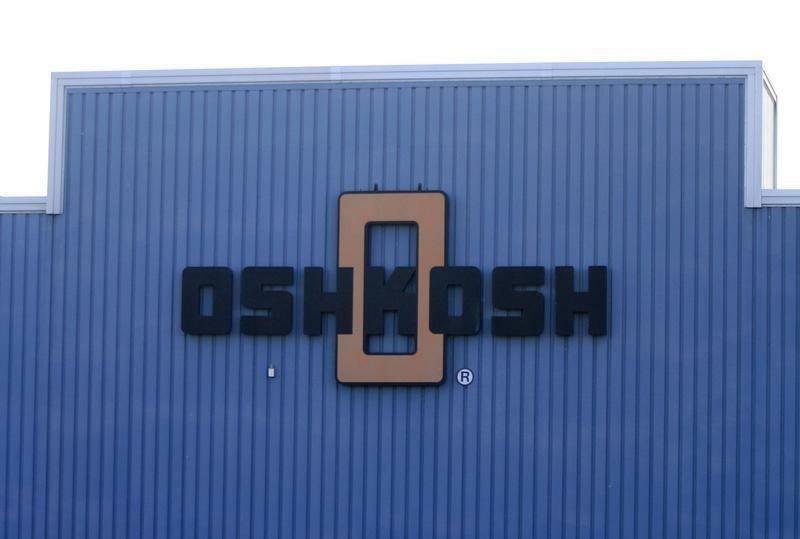 (Reuters) - Specialty truckmaker Oshkosh Corp (OSK.N) said it would cut its defense segment workforce by about 250 to 300 hourly positions, as it continues to grapple with lower U.S. defense spending and reductions in military production. The company said it would also eliminate about 70 salaried positions, mostly through layoffs of temporary employees, retirements and the termination of open positions. Oshkosh, a supplier of medium and heavy tactical vehicles, benefited from U.S. military contracts at the height of the U.S. wars in Iraq and Afghanistan. The Pentagon's chief weapons buyer, Frank Kendall, last month predicted "very, very painful" negotiations within the U.S. military as it shapes its fiscal 2016 budget, given the resumption of mandatory cuts in U.S. defense spending and the growing number of national security threats around the globe. Oshkosh got nearly a quarter of its revenue for the third quarter ended June 30. from the U.S. government. The Wisconsin-based company has been struggling with excess capacity and does not have enough orders to compensate for the fall in defense spending, analysts said. "These are planned (job) cuts because of lower expected volume in defense spending and production of military vehicles," Longbow Research analyst Eli Lustgarten said. The company cut about 700 hourly positions and 60 salaried jobs last year. BMO Capital Markets analyst Charles Brady said the company now had fewer contracts to bid for. The U.S. government's next large contract is likely to be for the Joint Light Tactical Vehicle (JLTV) in the summer of 2015, he said. "They (Oshkosh) have been keeping excess capacity in anticipation of winning a large contract next year and may be smaller contracts in between. But even if they win all those contracts, they'll probably still have excess capacity," Brady added. Oshkosh reported a 46.5 percent drop in sales of tactical and military vehicles in the third quarter and cut its full-year earnings forecast. Revenue from the company's defense business has fallen for nearly three years now. The company's shares closed down 2.4 percent at $42.18 on the New York Stock Exchange. Up to Thursday's close, the stock had fallen more than 16 percent this year.